Natures design is quite amazing and in perfect chaos. It creates life cycling systems with all sorts of creatures, plants, layers, and patterns. The pattern we see in most gardens are tidy neat rows or crops grown in large blocks. Polyculture is gardening that tries to imitate nature. The goal is to create many layers in height, no uniformity with the distances between plants, and many different varieties existing together in one place. And just like nature, some plants excel and grow larger than the ones beside it. The difference is your little plants next to your larger ones are vegetables not weeds! 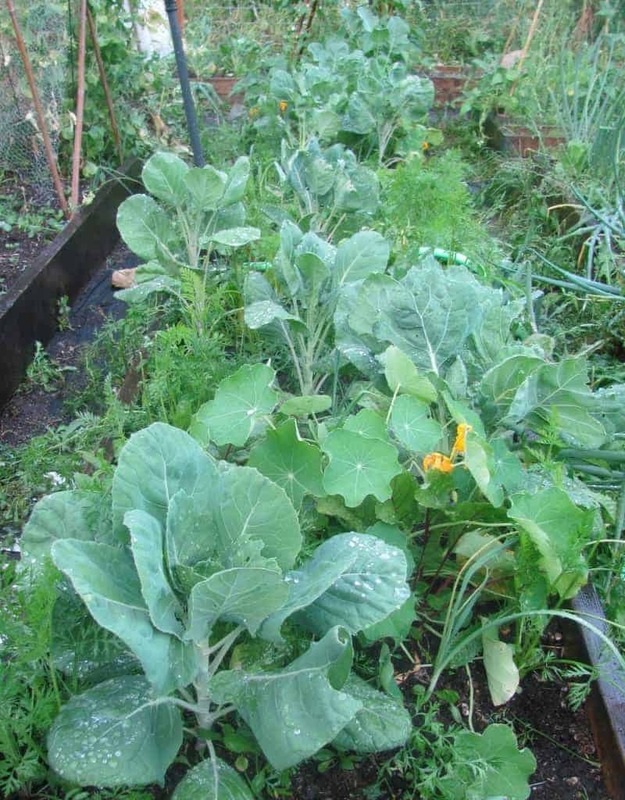 What if I told you could reduce weeding, create a little ecosystem with your vegetables and deter pests? That’s what polyculture aims to do. Polyculture is a form of permaculture that shifts from our current monoculture way of growing our food. Visualize a garden bed full of vegetables all over the place, masses of colour and different textures instead of traditional rows. 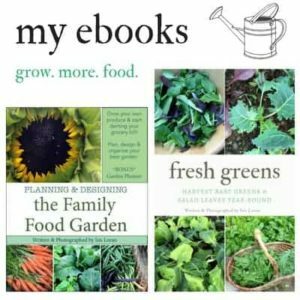 I first read about it in Gaia’s Garden Guide to Homescale Permaculture. It can help to reduce weeding by filling in the gaps where weeds would thrive with fast-growing crops that you can harvest within a few weeks. I would consider polyculture gardening a more intricate version of successional sowing. It also involves companion planting and attracting beneficial insects which help to deter pests (think alliums and herbs). I’ve noticed that the slightly greater proximity of the plants does help to mask more smells to deter pests. 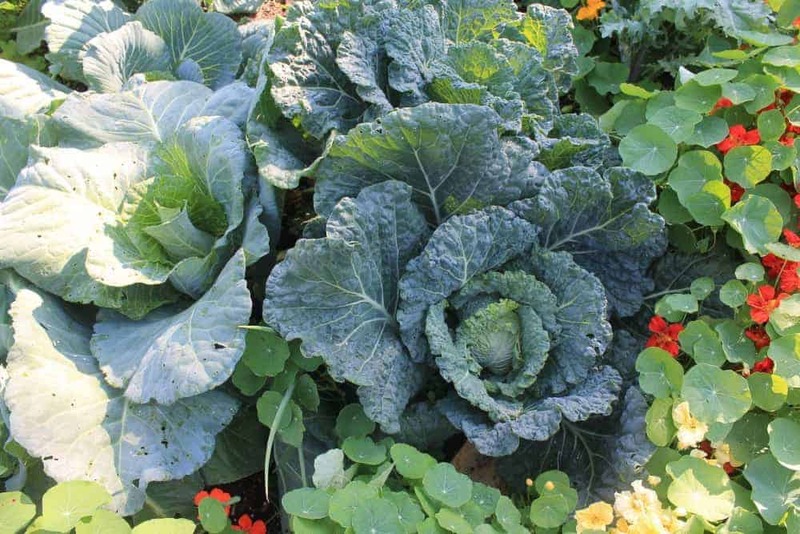 Some vegetables have a deep root system while others have a swallow one, by mixing different vegetables within a bed you can maximize the growing area. Scatter lettuce, spinach, toy bok choi, and radish seeds. Plant some onion bulbs and transplant broccoli. 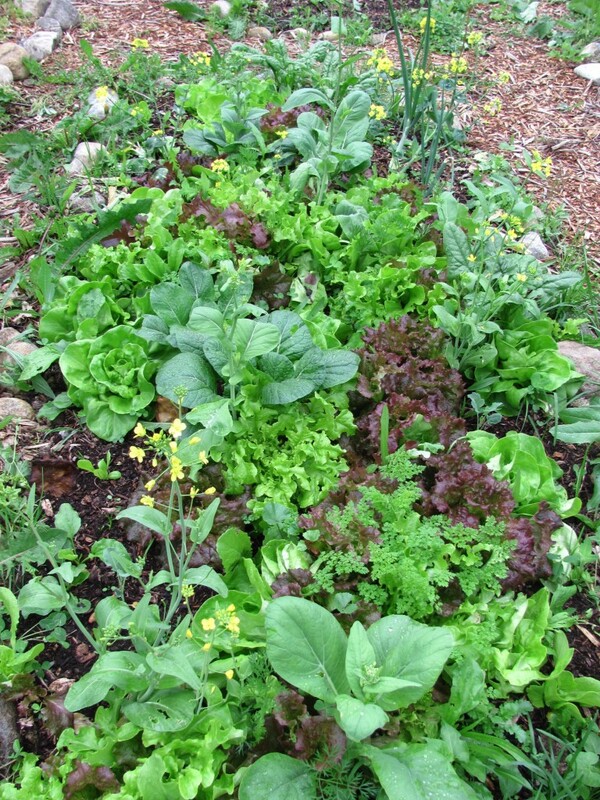 Harvest baby greens & radishes within 3 weeks and thin them out to make space for larger head lettuce. Toy Bok Choi will bolt fast and is usually harvested in 30 days. I let a few go to flower to help the bees out as there are few flowers at this time. Harvest lettuce around broccoli transplants first to allow growing space. 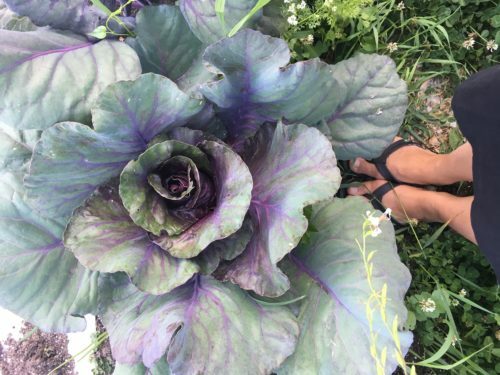 As you pull up more heads of lettuce transplant some fall cabbages in the empty spots. Sow green onions, swiss chard and carrots once the lettuce has bolted (gone to seed from the heat) for a fall crop. In the spring time direct seed mustard greens (giant red, komatsuna, mizuna), mache, arugula, lots of carrots and green onions. By early to mid- June transplant brussel sprouts (or broccoli if you prefer), leeks, scallions, swiss chard and beets once all the spring greens have bolted. In July harvest all the carrots which has now left space for the leeks, brussel sprouts and beets to grow. Where the carrots left large gaps direct seed lettuce and swiss chard, and scatter radish seeds. Enjoy your fall crops that are all frost hardy! Try to not clump them, and don’t mix heavy and light seeds together. Scatter them but don’t just ‘throw’ the seeds. It’s a good idea to still try and distribute them somewhat evenly. If you end up with big empty areas that’s not a problem! Just direct seed something new. Too clumped? Eat the micro greens! Mixing fast growing crops with some pest deterrence around your desired transplants (tomato, broccoli, cabbage etc) works best. Radishes, mesclun greens, lettuce, spinach, toy bok choi, mustard greens (giant red, mizuna, mibuna, osaka purple, komatsuna), orach (mountain spinach), arugula, baby swiss chard and baby turnips like hakurei. Strong smelling herbs (oregano, basil, cilantro, parsley, sage etc) and alliums (leeks, onions, garlic, shallots). Attracting ladybugs via frilly leaves of celery, dill, parsley and carrots. Marigolds, nasturtiums, borage, and many other herbs and flowers work great. 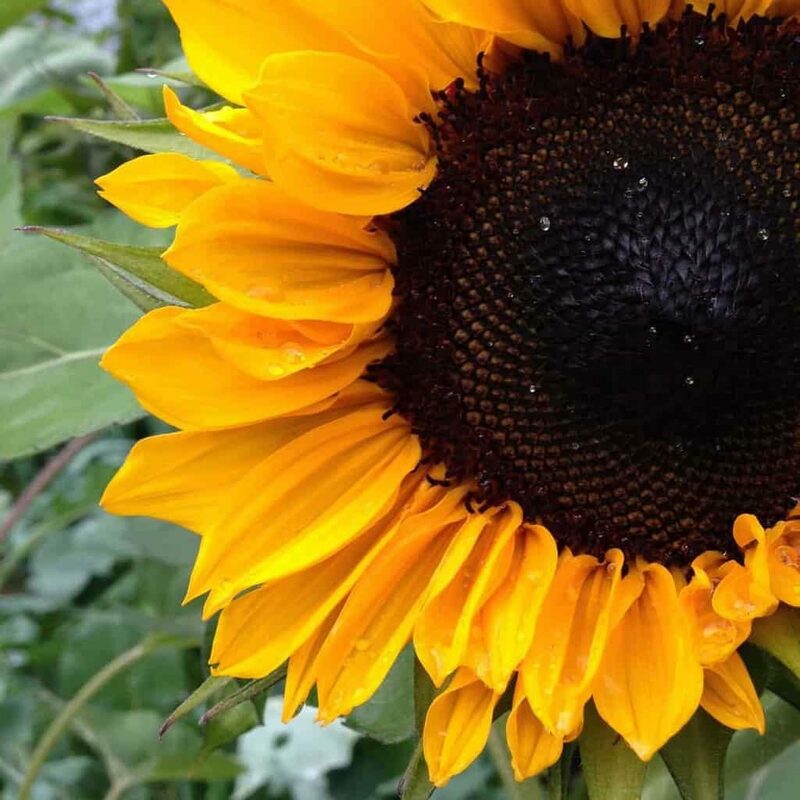 Learn more about companion planting here. No, it definitely isn’t. I personally enjoy the slightly chaotic and lack of uniform feel to polyculture beds and I have fun filling in crops where there is empty space but many gardeners still prefer neat tidy rows. If you’re a beginner it might be hard to tell the weeds from food (although there are many weeds you can eat!). It also requires base experience with sowing multiple times in one growing season as once you harvest one crop you transplant or direct seed another in its place. Better Yield? Yes or No? I think that greatly depends on what you’re growing and how good your soil is. 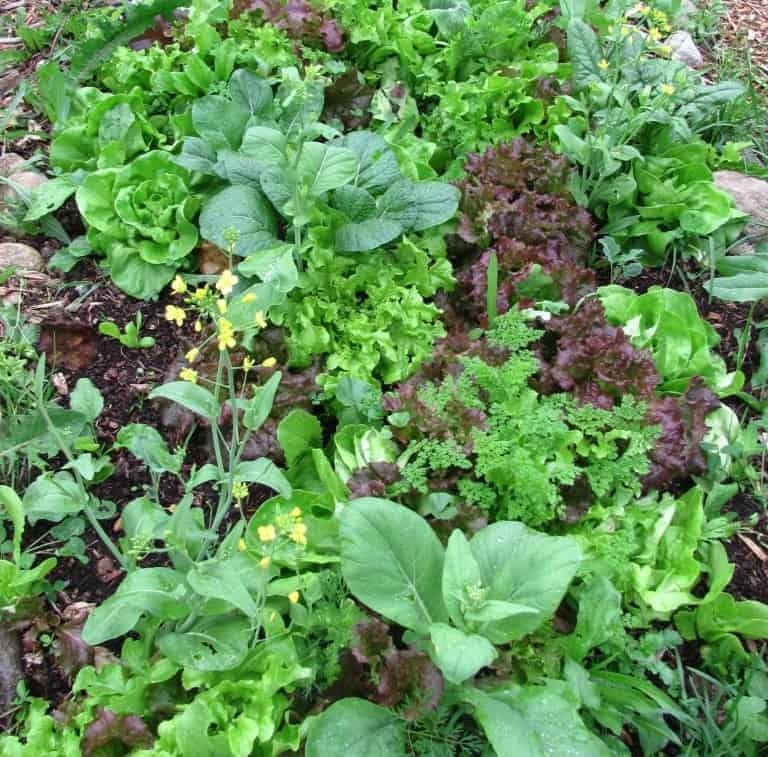 I think polyculture works fantastic for spring greens, as you can harvest the micro greens, then baby leaf lettuce/greens, then harvest all the head lettuce and plant your next set of crops for a fall harvest. In this case it will offer a slightly higher yield than rows, however won’t be much different than block planting except your growing more than one crop variety. 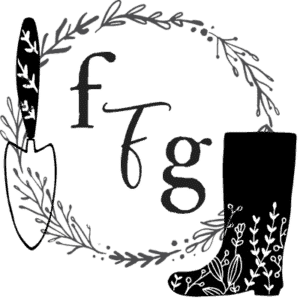 Will polyculture permaculture gardening work for you? It depends on how you like to grow food. Many people prefer the look of growing in rows and the ease of weeding in-between the rows because you can see what’s what. I’m busy and lazy with weeding so I prefer to lift lettuce or carrots than weeds, and I like the chaotic look of polyculture beds. In the end, you won’t know until you experiment! I’ve found that many children’s gardens are accidental polyculture beds because they scatter the seeds rather than making rows (at least younger children). 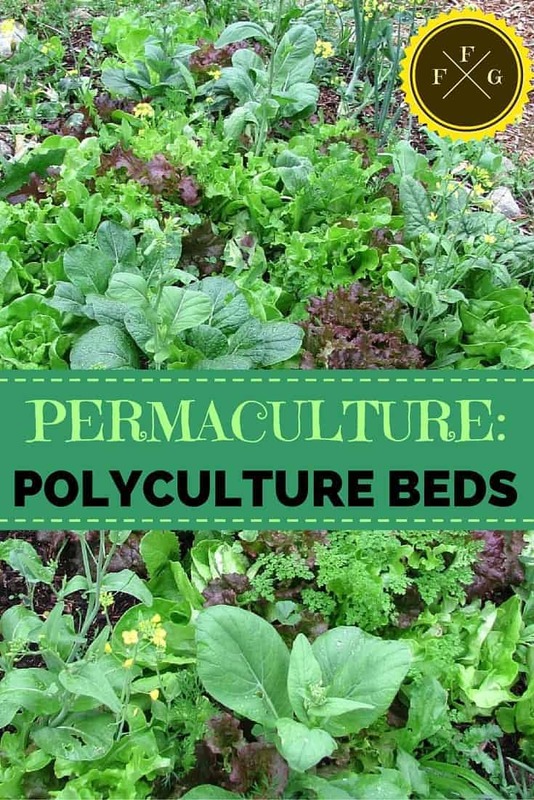 Have you grown polyculture permaculture gardening beds before? Great post! Definitely a very interesting method of gardening that seems to be efficient and cropping. 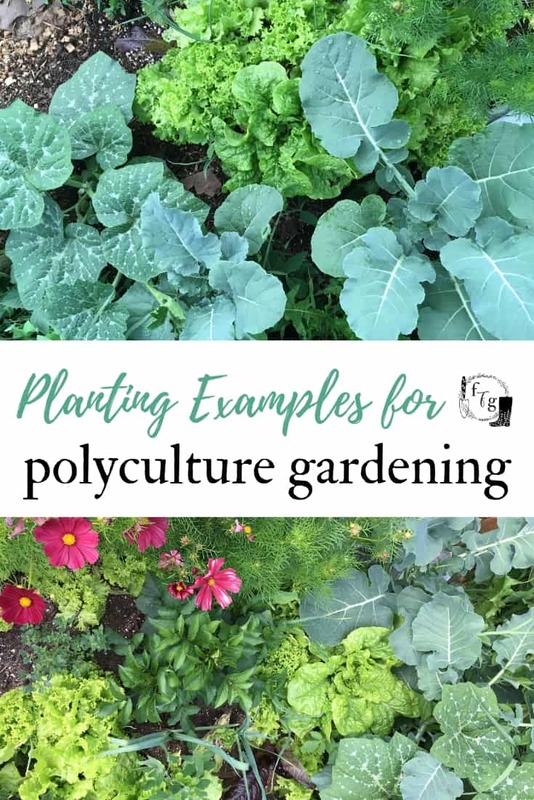 I’m surely recommending you post to my sister, she’ll be very interesting and surely sill make some tries at polyculture. Thank you for the great examples and facts. Happy gardening! I planted our heirloom veggie garden this way about 4 months ago. It has taken off like gangbusters, and I love the ongoing variety that succession planting has allowed us to enjoy. I have had very few pests so far (knock on wood! ), which has been a quite welcome plus, as well. I also did a control group in the more conventional rows just to compare… it is languishing to say the least. Lesson learned. I can’t see myself ever going back to that style of gardening! Polyculture is the way to go. Polyculture has always been a branch of permaculture I’ve been interested in. I would love to grow a great garden! I think if I search enough online, I can find some tips. If not, maybe I’ll take a class or two! Have tried some traditional rows in my raised beds for 3 straight seasons with little to eat for it. My growing season in Norway is shorter but I am pulling microgreens tomorrow and having my todders scatter seeds instead 🙂 Thank you for the inspiration!! 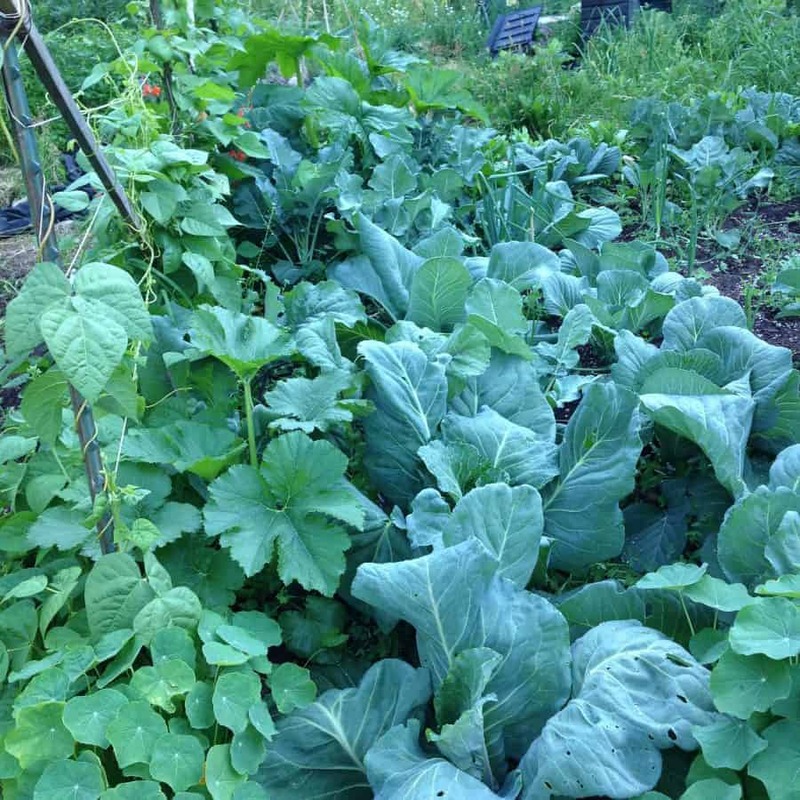 I think polyculture makes the most sense for intensive food gardens using permaculture principles, but I always wonder about how to apply the practice of crop rotation to decrease diseases and maintain healthy thriving soil. 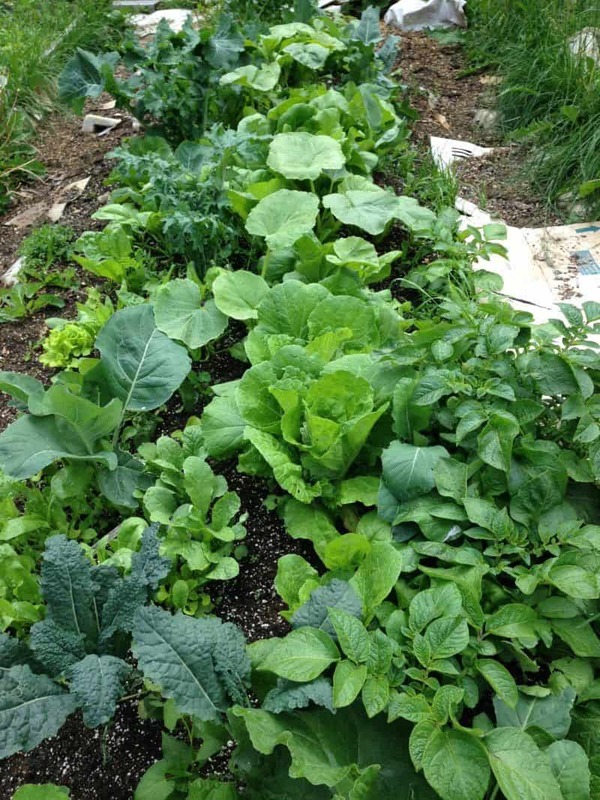 What are your techniques with polyculture and crop rotation for multiple and/or large veg garden beds?? Permaculture is a form of policulture, dont forget what was first? This is a new idea for us. We just bought a home last November and are planning on putting in beds for the first time. We know what we like and are trying to plan our beds out. We have one bed of hills for squash, melons and cucmbers. Do you have tips of what to plan in among them? Also I would like to look further into the permaculture polyculture. Do you have any resources that you would recommend? Growing flowers around cucumbers, squash and melons increases pollination and thus yield. Grow nasturtiums, zinnias, cosmos, any flowers that bees love!The vines will sprawl everywhere around the flowers later in the season. Sometimes I sow lettuce around the squash vines as you can often harvest them within 40 days before the vines get large. Cucumbers work great trellised upwards, same with small squash which saves ground space.